Highly recomeneded to me by a lot of friends and we were going to look at this book in my Book Club. I was interested in this novel because I noticed 'The Strangers' Child' By Hollinghurst and wanted to know what other work he had written. This novel, now turned BBC mini series in 2006, explores the decade of the 80's through the eyes of Nick Guest, a homosexual man living in upperclass London. Nick struggles to find his place in this world, which is far away from the middle class background he grew up in. He tries to find his place living with a friend's family who's father is a Tory MP. Nick struggled throughout this book to adjust himself to his environment and goes from being an innocent boy straight from uni to truly understanding how it feel to be homosexual in London in the 80's. Hollinghurst does not romanticise Nicks life, like so many others, but portrays this world as being brutal and almost cruel. Nick is a character that I feel the reader can connect to as he is innocent and even naive at the beginning and we want him to succeed in finding unconditional love, which he craves. However is not achieved and therefore Nick struggled even harder to find beauty (or love), where there is none received. 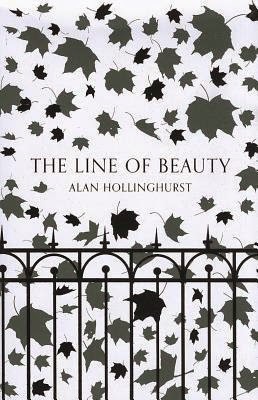 Hollinghurst creates a very realistic world that is difficult to pull away from. This world is all encompassing and extremely realistic in the poetic and lyrical language that Hollinghurt uses to portray the environment that Nick is experiencing. The aspect of this novel which I didn't take to was the ending, as it left me feel dissatisfied because I wanted Nick to find the happiness (beauty) that he had been trying to find the entire way through the novel. He is left alone with no place to belong and with the threat of AIDS over his head. For me I wanted Nick to find someone to love and be loved in return as this is all he craves throughout the novel. I would recommend this book to a reader who enjoys a challenge and likes to work at a novel to find the meaning the author was looking for. This book is not a light read and deserves attention to be read properly.